Two hearts are always better than one. 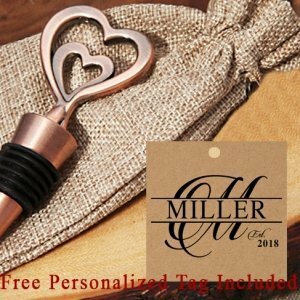 A Cassiani collection exclusive, these vintage style copper finish metal double heart bottle stoppers are sure to appreciated by your guests. 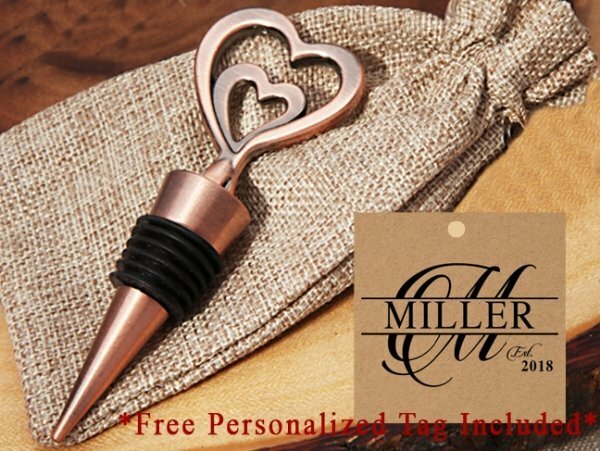 Each favor has a copper color metal double heart design attached to a copper design metal base and measures 4" long. Every time your guests sit down to enjoy their favorite vintage they will be reminded of your generous gift. I have ordered 110 of these .They came with a thank tag and 'made in china' on the reverse side. I removed them due them having that on the back. 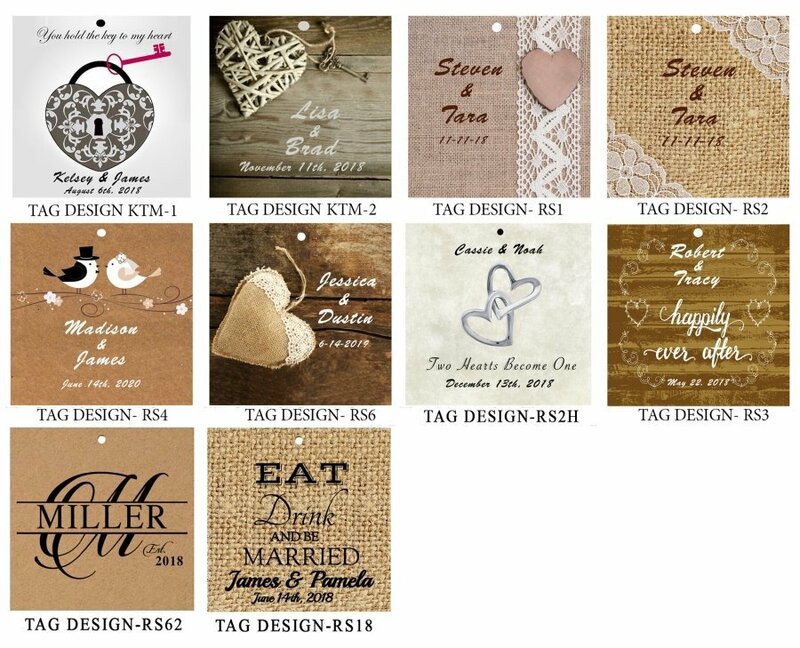 Do the personalized ones also have have where there made from. The personalized tags do not have that info on them. Sorry for any issues with our site. I was able to add it to the cart by entering "1" in the quantity and my zip code and then clicking "Add to Cart". Please let us know if you're still experiencing issues by calling us at 866-998-9595. Thank you!